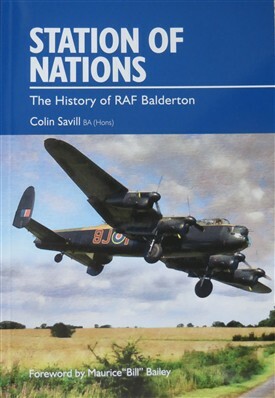 After several years of detailed research, Colin Savill BA (Hons) has written a new history of RAF Balderton. The book has just been published by the Newark (Notts & Lincs) Air Museum, which is located on part of the former RAF Winthorpe airfield site, itself just 5 miles from the former site of RAF Balderton. Colin Savill was born in Newark, Notts and educated at the Magnus Grammar School. Following RAF service he worked in engineering for many years before becoming a mature student at, then, Bishop Grosseteste University College, Lincoln graduating in 2010 with a BA (Hons). He joined Newark Air Museum in 2009 as a volunteer and became a trustee of the Museum in 2012. He is widowed with two daughters and several grandchildren; and lives in Tuxford. This page was added by Howard Heeley on 11/04/2018.